Yes folks it's another ethnographic museum. Surprised? I think it is one of my pleasures whenever I travel to check these museums and so far I've come to a conclusion. Big museums such as the ones in London, Berlin, Geneva or Amsterdam and now this one in Vienna, host objects that have little to do with those specific countries and more with the ones they once ruled. I am saying this, compared to the ethnographic museums in Budapest, Bucharest, Ljubljana, Riga, Krakow, Split and who knows how many others, where they exhibit bits and pieces from their way of life, their culture and their costumes. It somehow makes you wonder if there isn't a connection between this and the fact that UK, Germany, Nederlands and Austria have lost their celebrations costumes? Bear with my logic for a moment. In Romania and all the countries around there are two types of costumes, the everyday one (casual) and the one for celebrations. 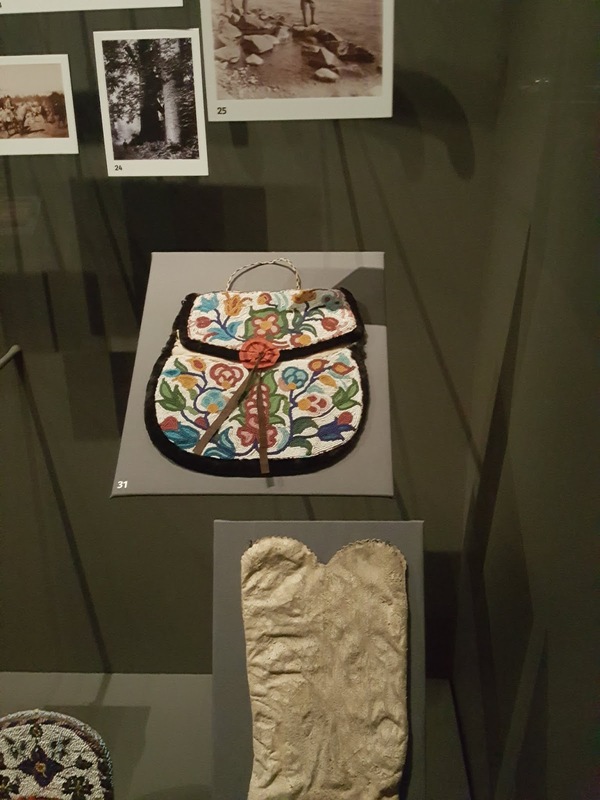 The national costumes evolved from the celebrations ones, which were more decorated, made from more expensive fabrics and so on. In the countries around where I live now, Nederlands, France, Germany, Belgium and UK, the national costume evolved from the working costume, the everyday one. Is it possible that they were so into conquering other cultures that they lost their own? I know it's a harsh conclusion, but I would really, really want to see the Austrian way of life exhibited in Vienna and not, possibly, at a rural museum somewhere outside Vienna. And I do know what Weltmuseum means, in case you want to hold on to that. 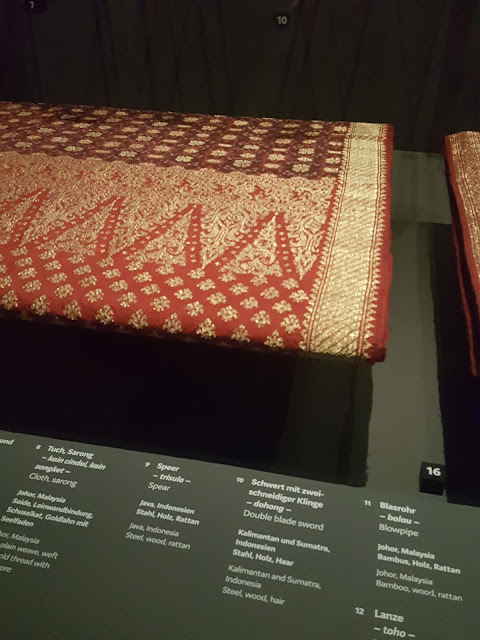 This is an intriguing piece, it is described as "sarong" from Malaysia and to me "sarong" is a traditional form of a skirt, but this one is very similar to "fota", a Romanian skirt, particularly with the ones from Muscel region. To keep in touch with my adventures, please follow me on Instagram. The feed is on the right part of your screens if you read this post on a desktop, if not you can find me by searching @mademoiselle.ralu on Instagram.